I was sad to sell my (and Hildy's) home this year, artists sometimes sacrifice condos for sleep. Life is change. 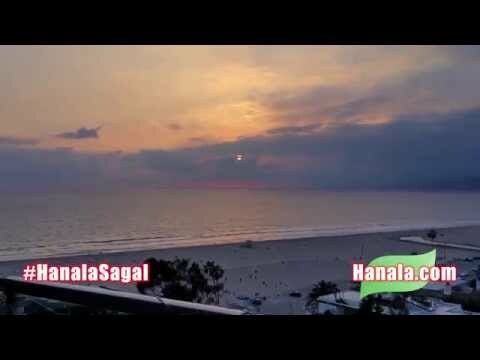 I'm Hanala, writer, actor, producer. Just when I thought "Elvis & Nixon" was dead, Kevin Spacey decided to play Nixon. The movie is coming to theaters this April. Happy New Year. I play a White House secretary. I wrote a bigger part for myself now being played by Ashley Benson. That's showbiz. On the set in New Orleans last year, I sang my version of "Suspicious Minds" to Evan Peters. Johnny Knoxville thanked me for writing the screenplay. So did Alex Pettyfer. "Elvis & Nixon" starring Kevin Spacey, Michael Shannon, Evan Peters, Alex Pettyfer, Johnny Knoxville, Ashley Benson. "The Last Laugh" starring Mel Brooks, Carl Reiner, Harry Shearer. "Ruthless People" starring Danny DeVito, Bette Midler. Hold onto sturdy support until you become a YogaLA Balance Master. Consult a physician before beginning a new exercise program; your health is ultimately up to you.